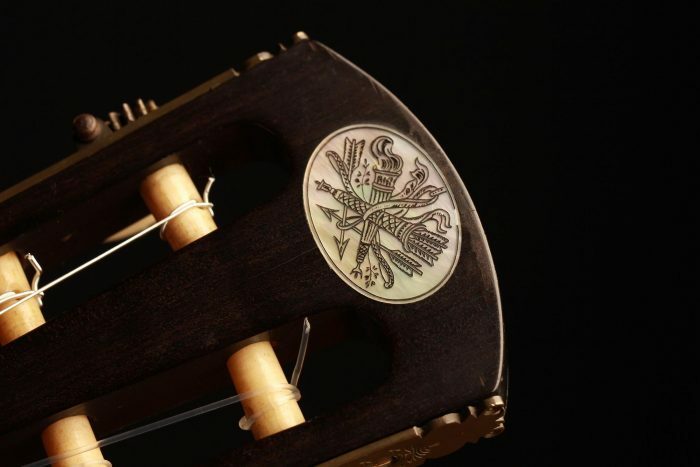 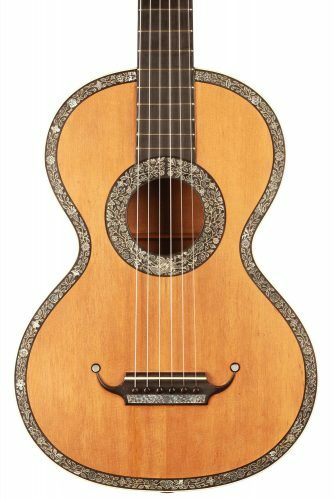 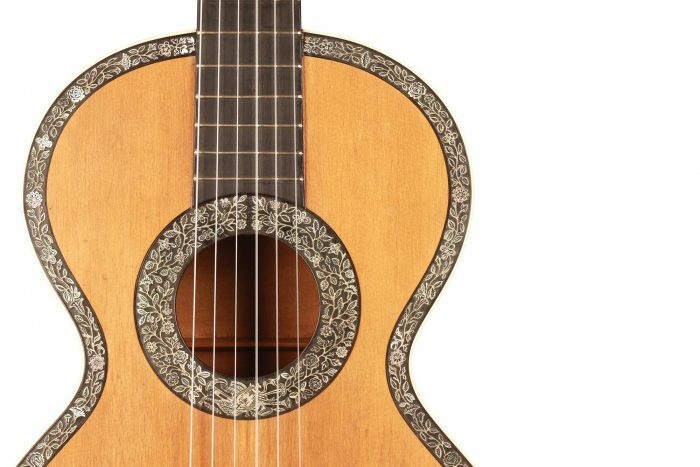 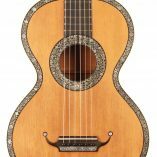 This splendid French guitar from the beginning of the 19th century is in a state of remarkable preservation. 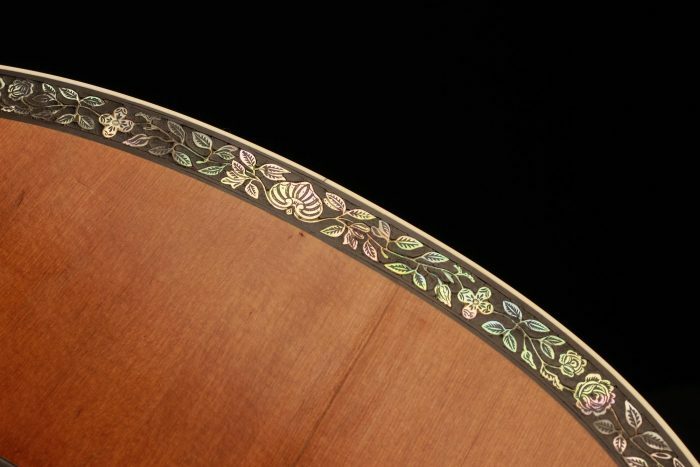 It has only a few very well repaired cracks on the top and is entirely original. 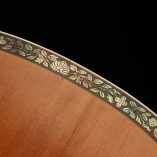 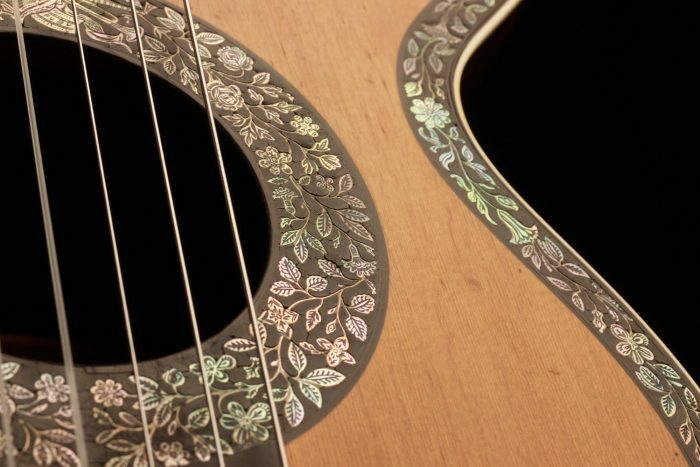 All the inlay pieces are still present and original, including the very nice shield placed on the top of the head. 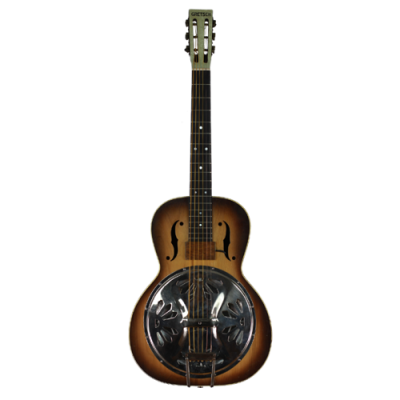 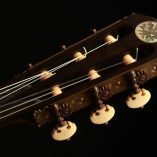 This instrument is in perfect playing condition and has the typical clear fine sound of the French guitars of that time. 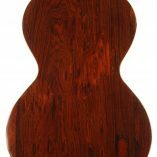 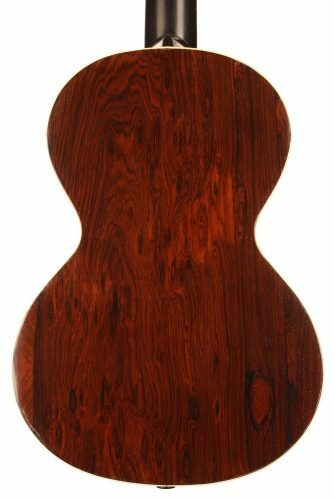 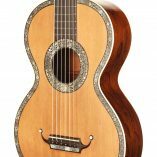 It is thus an ideal guitar to approach the romantic repertoire of Fernando Sor, Ferdinando Carulli and even Niccolò Paganini. 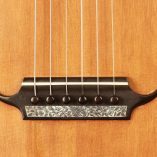 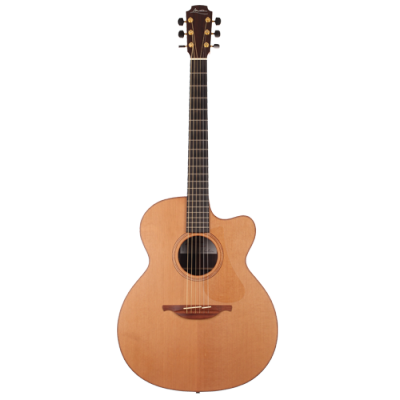 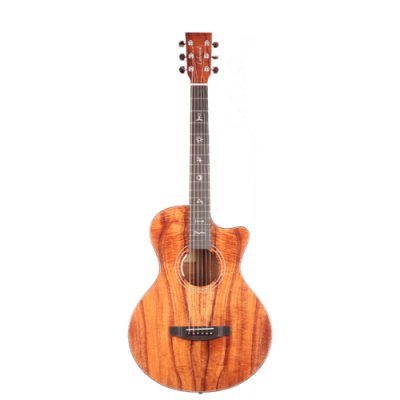 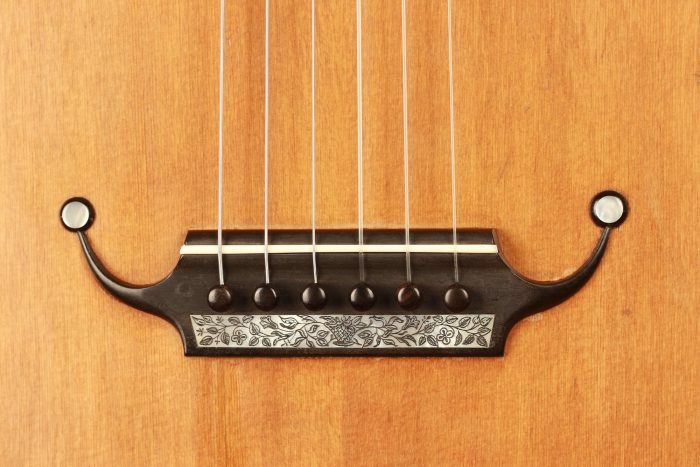 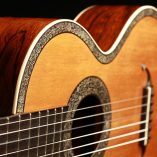 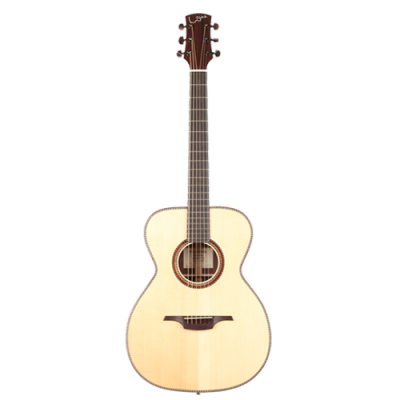 The playing comfort is excellent, and the guitar is very accurate in all registers. 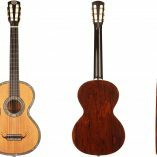 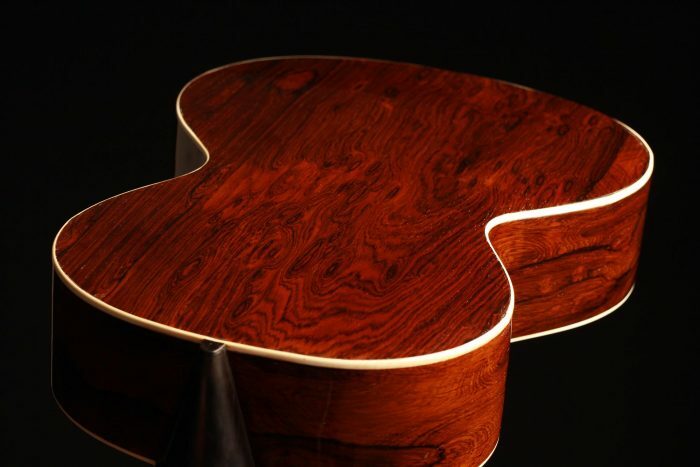 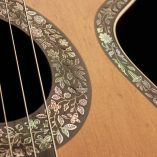 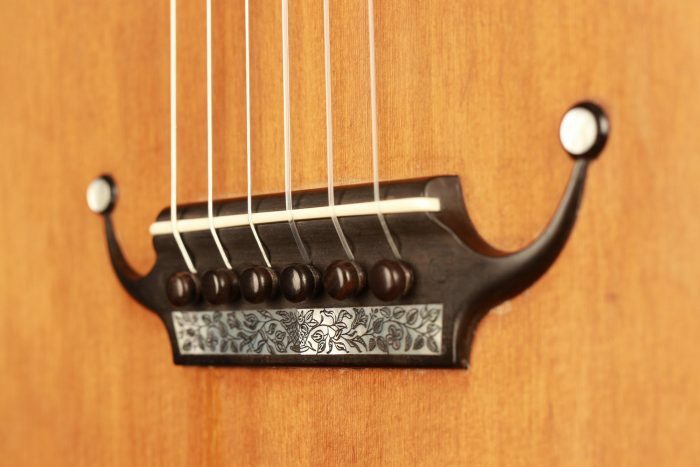 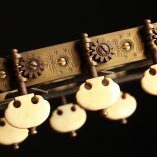 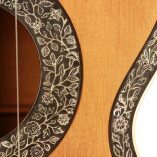 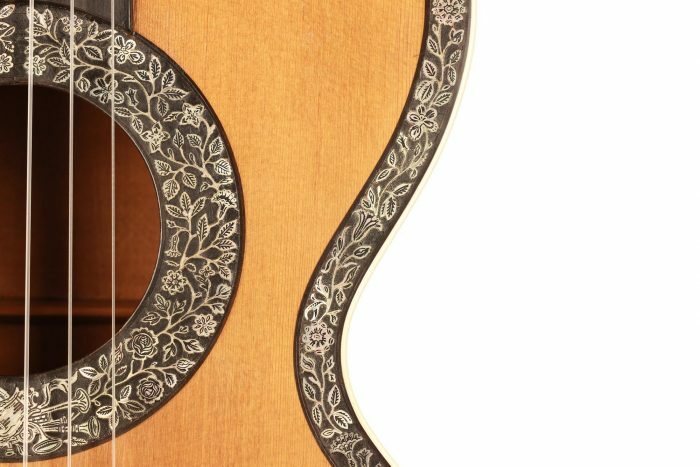 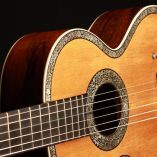 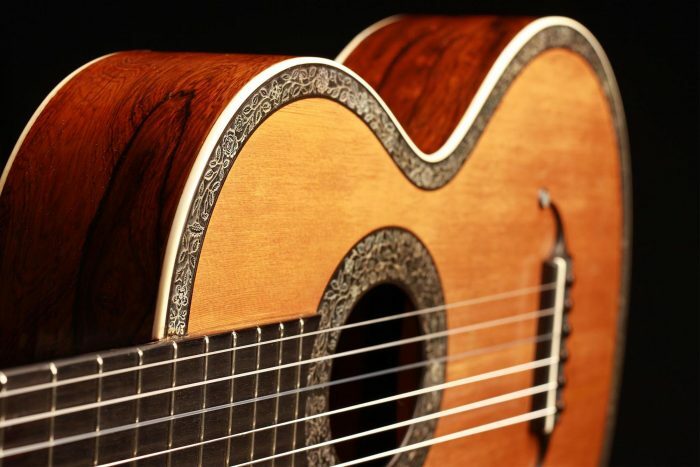 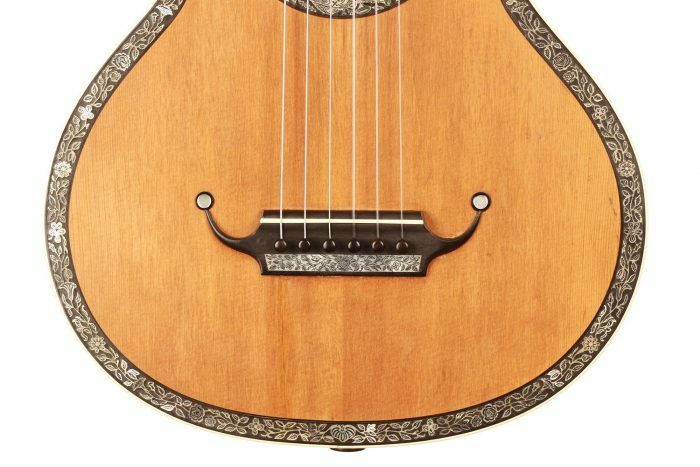 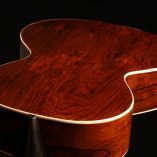 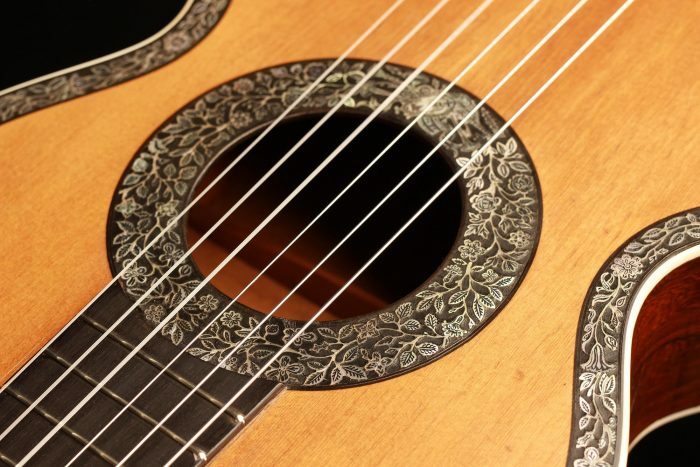 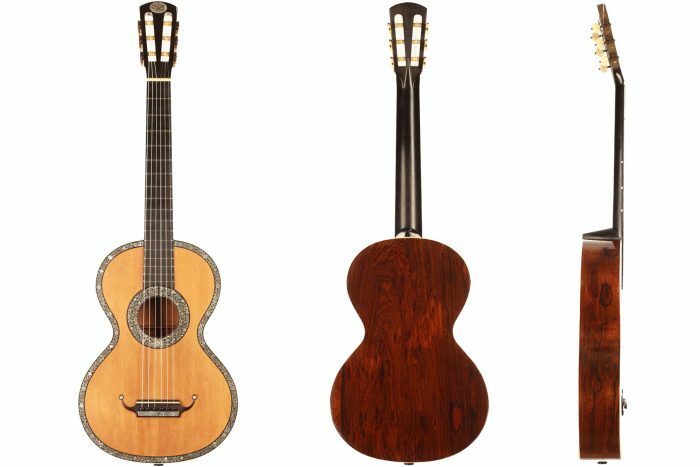 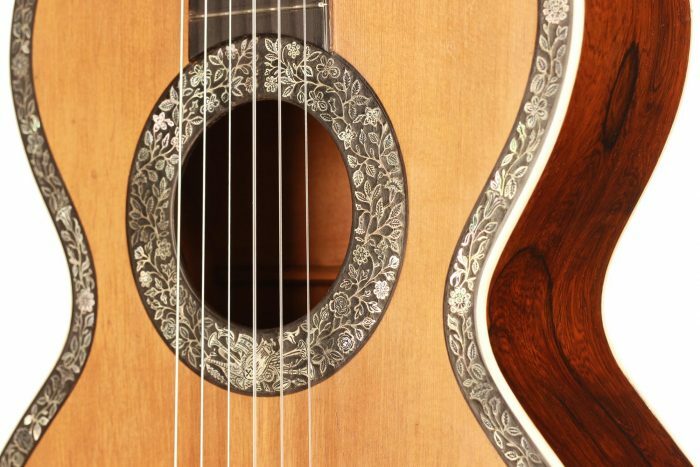 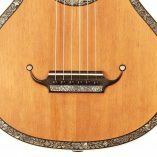 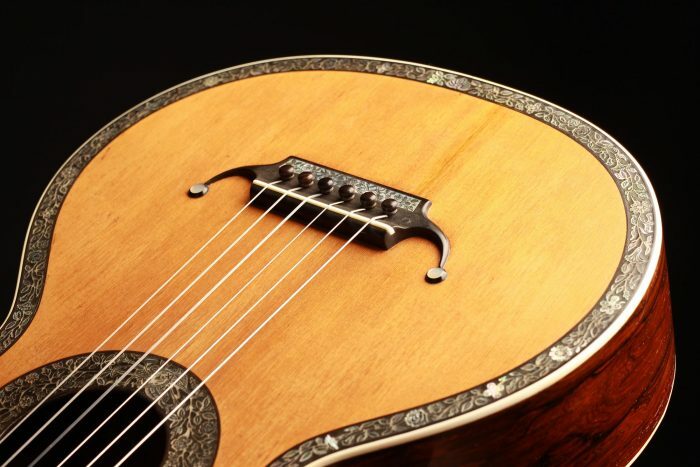 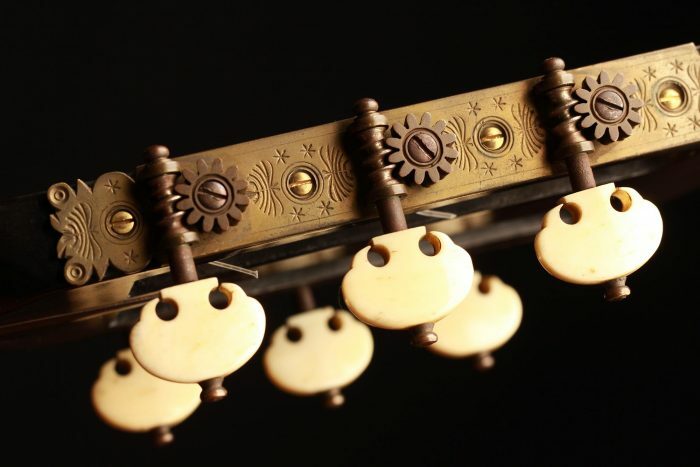 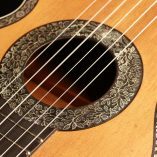 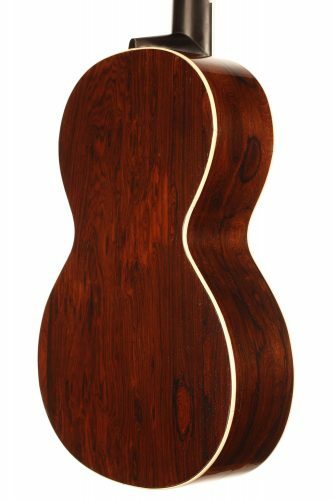 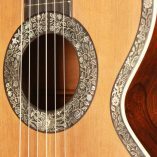 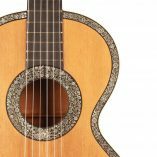 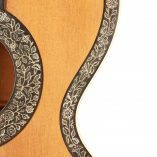 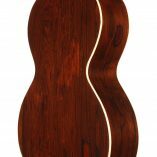 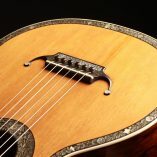 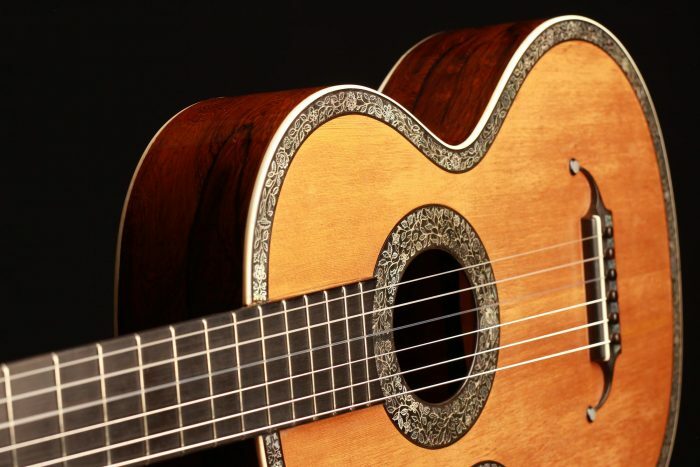 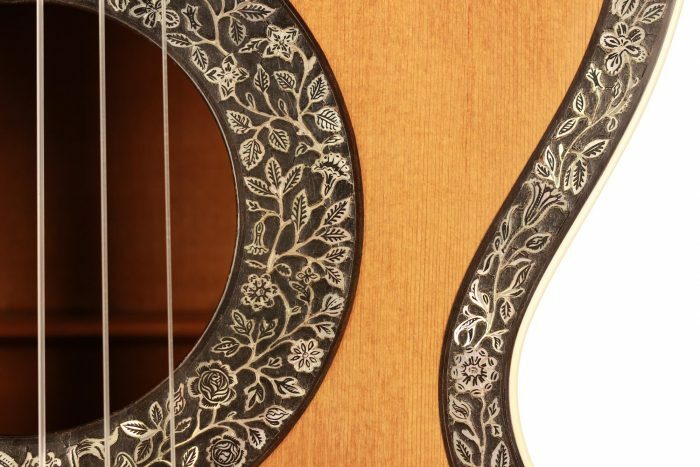 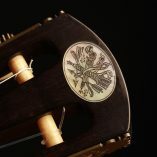 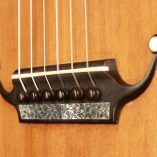 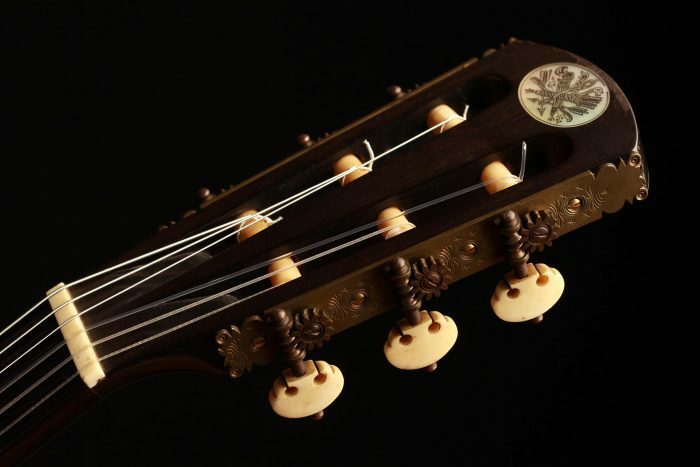 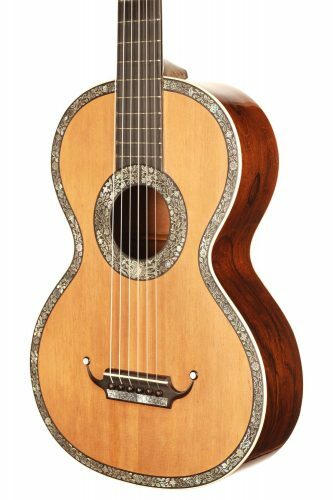 The timbre really has that intriguing, pure and seductive sound of original two hundred years old romantic guitars.